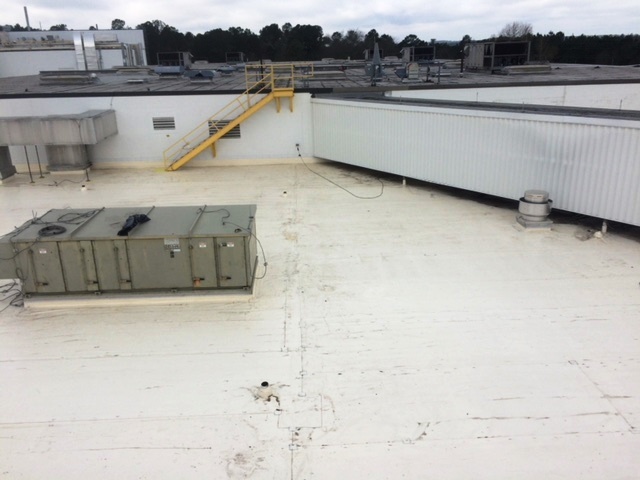 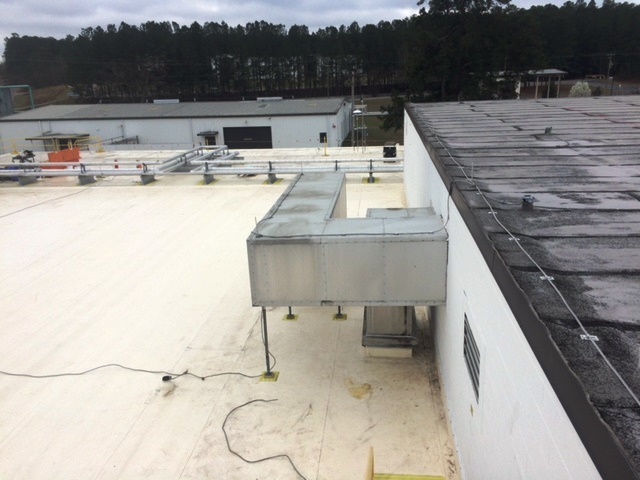 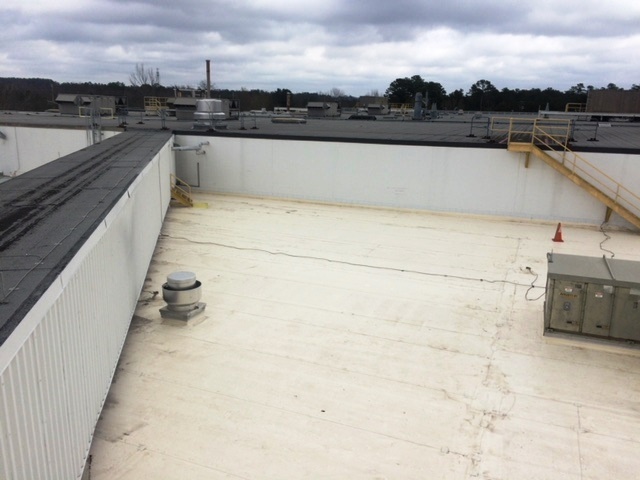 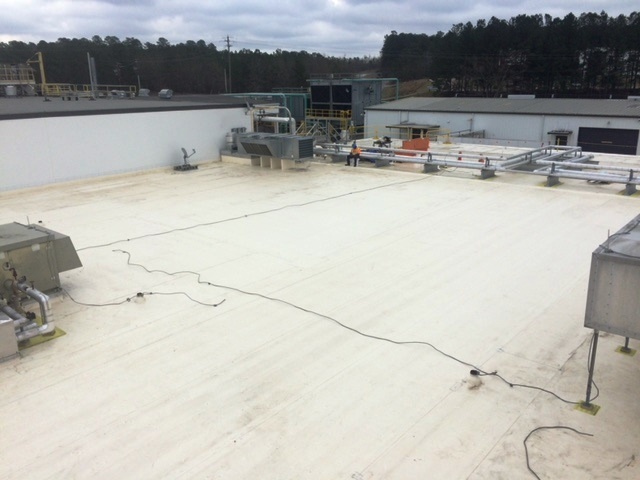 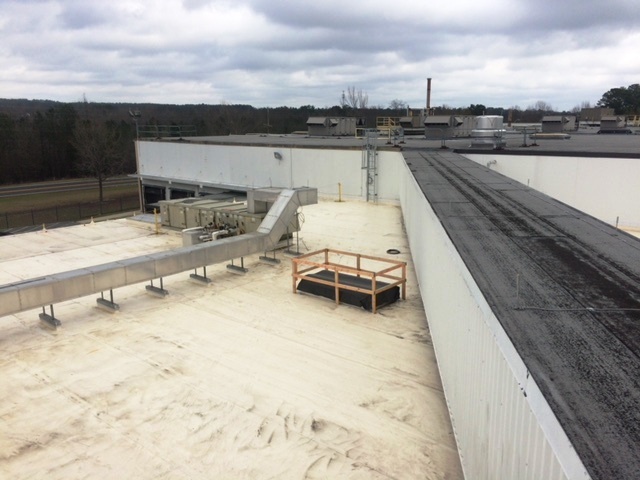 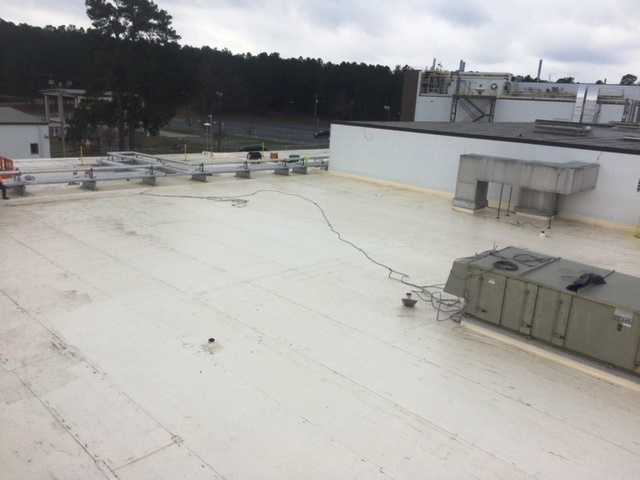 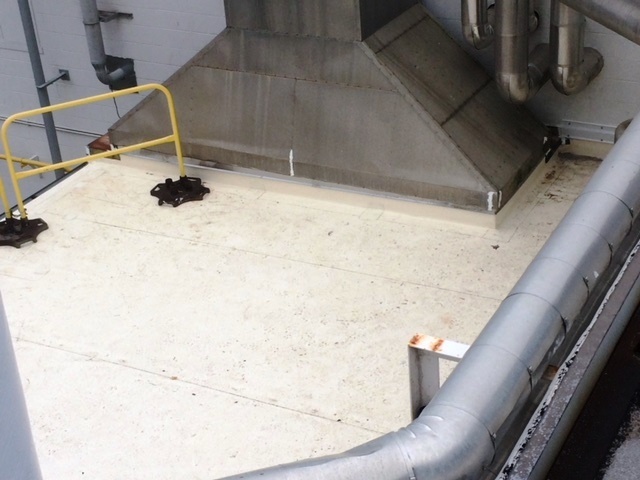 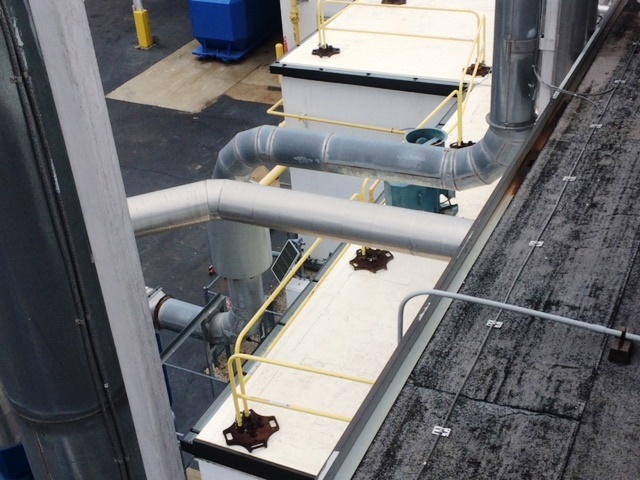 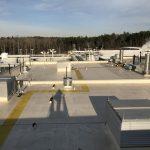 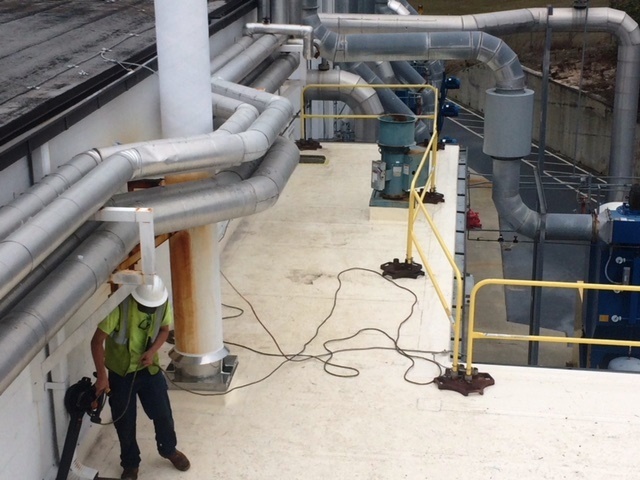 Avara Aiken (formerly GSK) - Evans Roofing Company, Inc.Evans Roofing Company, Inc.
Areas H1, H2, I & L: Remove existing modified roofing and ISO down to the metal deck. 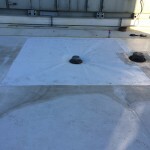 Replace any deteriorated metal decking then loose lay 2 layers of 1.8” ISO and then mechanically fasten ½” HD ISO over the loose laid ISO. 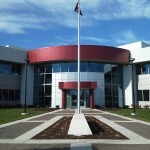 Finally, mechanically fasten .60mil FiberTite XT.